Dumbest Political Comment Ever: N.Y. Gov. 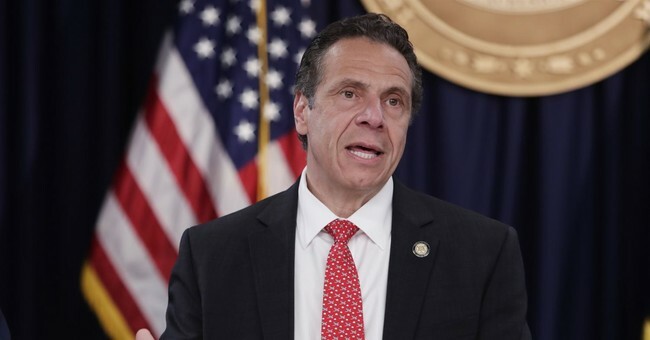 Cuomo: "America Was Never That Great"
In an enormous political gaffe, New York Governor Andrew Cuomo told an audience "America was never that great." Kiss the 2020 Democratic presidential campaign of NY governor Andrew Cuomo goodbye. His comment America 'Was Never That Great' drew laughs and gasps from the crowd today. Cuomo, a potential Democratic presidential candidate in 2020, was speaking at a bill-signing event in New York City, when he turned his attention to Trump's "Make America Great Again" mantra. "We not going to Make America Great Again. It was never that great," Cuomo said, prompting some in the audience to laugh and others to gasp. "We have not reached greatness. We will reach greatness when every American is fully engaged," he said. "We will reach greatness when discrimination and stereotyping against women, 51 percent of the population, is gone, and every woman's full potential is realized and unleashed." Following the blowback, Cuomo's office defended his original remarks and criticized Trump's slogan. Cuomo could have said he made an error, misspoke, or something similar. It may have blown over. Instead, like Hillary with Iraq, he could not admit a mistake. I firmly believe that Hillary, not Obama would have been the Presidential nominee in 2008 if she had only admitted she made a mistake on Iraq. Flash forward to today: How anyone can be so politically stupid is a mystery. On second thought, we are talking about Democratic politicians.